NORTHVILLE, Mich. — The men’s cross country team entered Saturday’s 27th Annual Running Fit/Detroit Titan Invitational in a very familiar location. Running in the event annually, the head coach LaCema Womack and the Mustangs were eager to start their season on the right foot against a talented field. Junior captain Robert Crockett (Detroit, Mich./King) had a good day, but did not quite meet his previous best at Northville’s Cass Benton Park set last season (26:05). 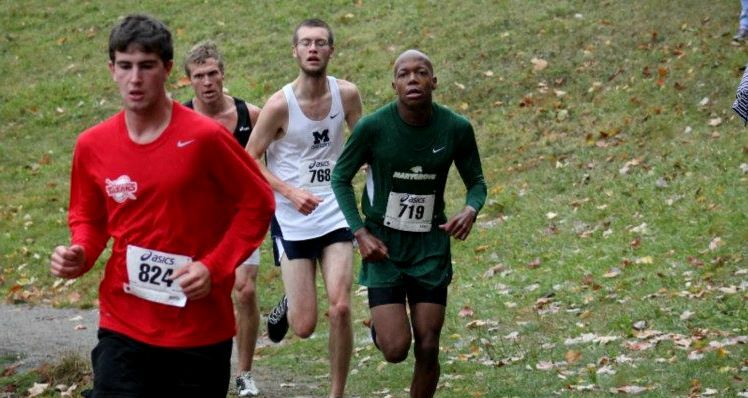 The junior came in 79th in a loaded field featuring NCAA Division I runners. Crockett’s official 4-mile time on Saturday was 27:22. Jalen Wilson (Detroit, Mich./CMA), a sophomore, joined Crockett as the only other Mustang that ran attached in Saturday’s season-opening meet. Wilson clocked in at 33:57 in the 4-mile race to place 92nd. In total, 93 runners took part in the men’s college 4-mile event in dry conditions. The Mustangs will hit the course again Saturday (Sep. 14) at Calvin College’s Knight Invitational.